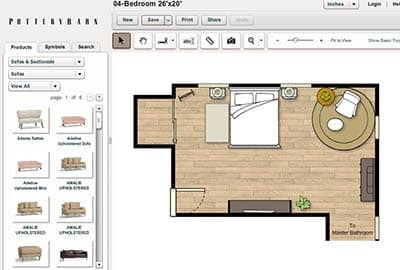 Below we explore the top 10 free and paid bedroom layout planner software to help create the ultimate design for your room. When you are trying to make a bedroom into something new, unique and reflective of your personality, there’s a lot to plan. For instance, what type of furniture do you want and where do you want to put it? Then there are other questions to answer such as what color do you want the walls to be, and what style of decor should you use? All in all, it can be hard to visualize everything that you want out of a remodel. Sometimes, you need a little help to plan before you pull everything together. That’s why there are certain software programs that will help you plan the layout for your new bedroom. They aren’t all as helpful as the next, though. In this article, we are going to take a look at the top 10 software programs for creating bedroom layouts you’ll love. The first candidate up on our list is a free service called Roomstyler. This 3D planning software is easy to use, all you need to do is to go to the site and choose a room layout. You can set this shape up by selecting from premade assets or drawing your own space. Once you have your room shape set up, you can start adding furniture into the space. You can even generate different colored paint on your walls and flooring as well. If you want a different angle, you can set the camera to zoom, normal, or wide angle. There are also plenty of tutorials if you get stuck. From tutorial videos to user tips, you will be able to find everything you need to help recreate your dream bedroom. To use the Planner 5D software program, you can use the website or you can download their mobile app which is available on both iOS and Android. You can even get this as an app for your computer via the Mac app store, the Windows store, or the Amazon app store. The next piece of software that we will look at, Plan Your Room, is another free software to use to plan your home. To start, you will want to draw out the dimensions of the room that is being designed. 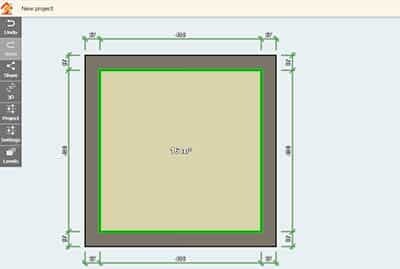 The default setting is a rectangular room of 17’ by 15’ but by dragging the edges of the “room” you can adjust the shape and size of the room. From here, you can start adding in furniture. To make things easier, the tabs on the left side of the screen are divided by what type of room that furniture would go. So, for example, you would look at the “bedroom” tab if you wanted to place a bed. Once you are done with your room design, you can save or even print your room plan to follow in reality. We’ve looked at a lot of web applications that you can use to plan your room. This entry, the Floor Plan Creator, is specifically a mobile app, though. This works easily for someone who is working on the go. For example, you could edit the room you’ve created while you are out looking for furniture to get a realistic view of how that furniture would sit in a room. You can also use cloud synchronization to back up your room plans. However, this is a paid for add-on so you can only use it free for a 3 day trial before being charged for this service. Images rendered with this app can also be exported to share for free with a watermark to keep others working on the design in the loop without incurring an extra fee. Magicplan is an iOS app that is available for both iPhones and iPads. (There’s also an Android version) It allows you to create your floor plan in a variety of formats including PDF, JPG, DXF, PNG, SVG, and CSV. Once you have a floor plan you like, you can save it on the Cloud on Magicplan or you can share it with other Magicplan users. Magicplan is a great piece of software because it is tailored for professional use, not just DIY planning. 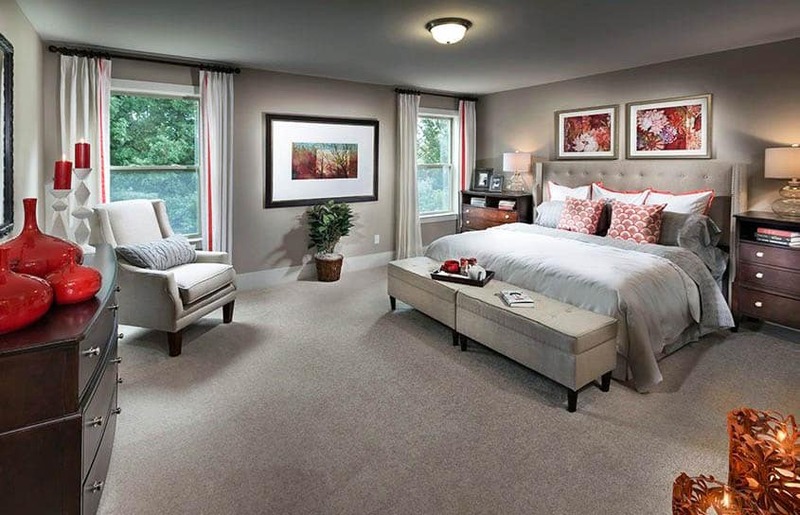 To start, you take pictures of the areas you want in your floor plan – in this case, the bedroom. Then, you add in the things you want such as furniture and other objects. You can even add annotations to your plan such as marking furniture prices and design notes. The next app up on our list is the Room Creator Interior Designer app for Android. This app is free to use but does use ads to make up for the free cost. Not only is this app easy to use, it’s fast! 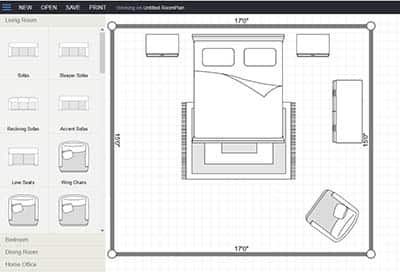 With this app, you can have your dream room planned out in less than 10 minutes. To start, you need to enter your room’s dimensions. From there, you can design a floor plan that matches your own and get to work. All you have to do is select an object and tap to place it. For a more precise placement, you can hold and drag items. Once you’re done, you have a helpful 3D walkthrough of your room. You can also publish your finished room plan for others to see but don’t worry – they can’t edit your plan at all. All you need to find your or someone else’s plan is its coordinating RoomID. Amikasa is a room designing software that you can use on both iOS and Windows devices. 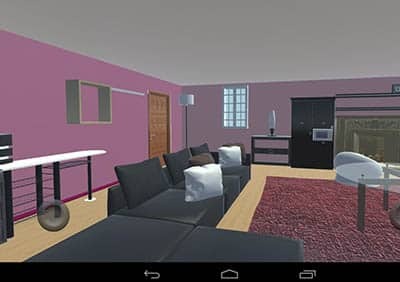 From the minute you download this app, you can start to create a 3D model of your dream room. To get started, you choose your room shape and set the dimensions. The default choices are rectangular, Z-shaped, L-shaped, T-shaped, and U-shaped. You can also choose “freeshape” which allows you to draw your own floor plan. From this point, you can start to add furniture from the catalog and add in different flooring and wall colors. Once you’ve finished your design, you can save it for future reference or share it via social media or email. 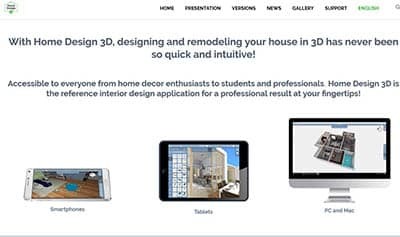 The next piece of software we will look at is Home Design 3D. This software is made to be used by both the occasional home renovator and the professional designer. Once you finish your model, you can even order a physical model to reference as you create your design. This app can be used on any smartphones, tablets, PCs, and Macs. You can start with either a 2D or 3D plan and adjust wall height and thickness as well as create corners. When choosing furniture, the software has over a thousand assets with hundreds of textures. IKEA is a place that many people go to get their furniture. So, it was a natural step for them to introduce their own set of tools to help plan out your home: the IKEA Planner Tools. There are a few different planners that you can choose from including a 3D kitchen planner, 3D Pax wardrobe planner, BESTA storage planner, office planner, and a children’s storage planner. According to IKEA, you can use these planner tools to try and retry styles in a virtual space that has the same measurements as your phone. Within their software, you can view this plan in a 3D scope. You can also save your plan, though, and email it or print it off. This way, you can reference this plan as you recreate it in your own home. Finally, we are going to look at the Pottery Barn room planner. 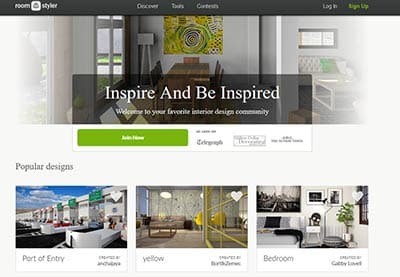 This room planner is made to help you create and plan the perfect dream room even if you aren’t and architect or designer. 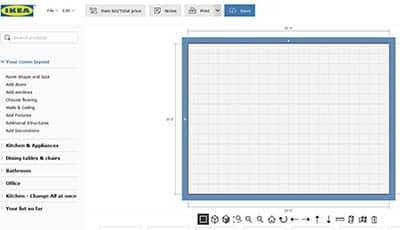 This software allows you to set up your space with dimensions and structural elements. In addition to furniture, though, you can add elements such as lighting. This way, you can make sure that when you add light fixtures, it not only works aesthetically but practically as well. This is especially crucial in a bedroom if you are choosing a bedside lamp because you don’t want to choose a light that is too bright but you don’t want to place a light that won’t give you the illumination you need either. Well that’s it. We hope you found some useful tools for planning your bedroom design. For even more ideas check out our post about interior design software to help design other rooms in your home.